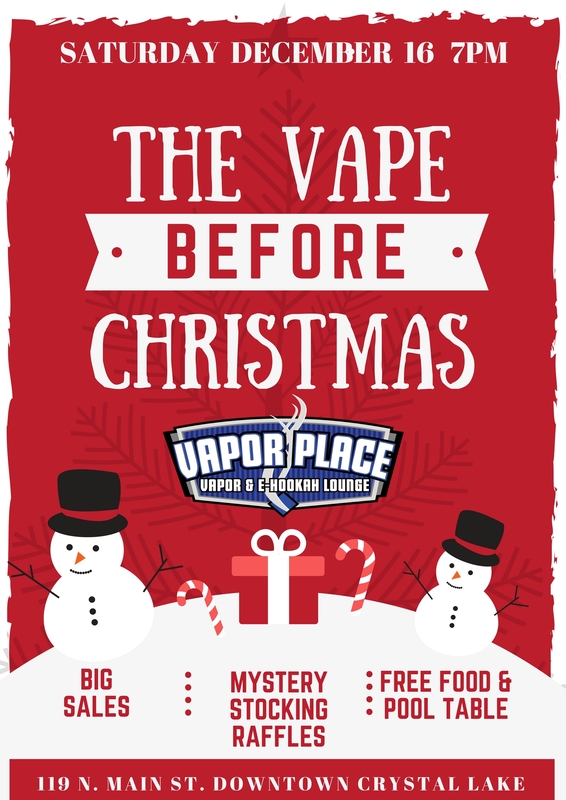 Come celebrate Vapemas with your fellow vapers! We'll have free food & drinks, free pool & foosball tables, and don't forget the sales! We'll be raffling off mystery stockings full of prizes to multiple winners - Puchases made between now and Saturday, December 16th get you a raffle ticket.